The Southern Star Group is proud to support the Salvation Army, most recently in assisting to fund the Just Brass Programme. 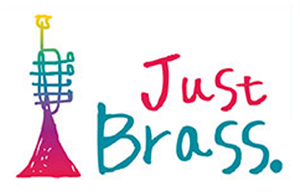 Just Brass is an exciting opportunity for primary school children from disadvantaged backgrounds and low socio-economic areas to learn a brass instrument and belong to a band. The aim of the programme is to provide these children with an opportunity to develop self-confidence, self-expression, leadership and an understanding of teamwork through the model of music. The initiative not only allows the children to develop and nurture new music skills, but is also a great opportunity for socialisation and friendship. Members of the Salvation Army visit schools and provide them with various instruments as well as lessons on how to play them. Students are then able to keep their instruments and practice in their own time, also being welcome to attend a band rehearsal at the Salvation Army Centre. Our contribution enables the ongoing operation of the bus that transports children to and from practices and performances. We are elated to support such a worthy cause and encouraged by the difference we are helping to make to the lives of these children who come from challenging circumstances.